PENN STATE (US)—A majority of Pennsylvania’s mobile home residents say they are overwhelmingly satisfied with their homes despite problems like construction quality, social stigma, and financing. Aman and Brent Yarnal, professor of geography, conducted their research in 12 rural counties in Pennsylvania. They published their findings today (January 4) in Applied Geography. The primary benefit of living in a mobile home is the low cost of the dwelling, according to Aman and Yarnal. In a mail survey to mobile home residents in 12 counties, 48 percent of the respondents cited affordability as a benefit. Another 47 percent said the interior layout of the mobile contributed to their satisfaction. In all, 385 mobile home residents responded to the survey. It is likely that other affordable housing opportunities do not exist for these residents, Aman says. About 78 percent of the households surveyed earn less than $50,000. These people live in rural areas lacking the diversity of affordable housing options found in cities, such as apartment complexes. Residents, however, say there are challenges with mobile home living. They also cited insufficient space, high utility costs, lot rental fees, and the social stigma of mobile home living as their primary dislikes. State and federal agencies could offer incentives to encourage people to buy mobile homes and develop mobile home parks, says Aman, in the same way existing programs do for urban apartment complexes. In addition, policymakers could use affordable housing funds to encourage mobile home residents to buy newer models built for energy efficiency and durability, Aman adds. Her research found that many people live in mobile homes that are 25 to 30 years old, but these old structures were not built to last that long. 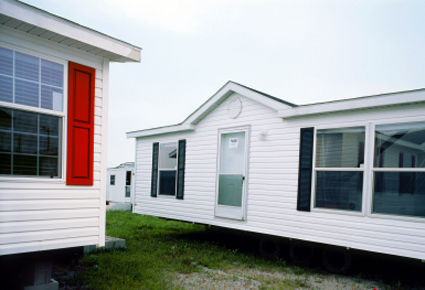 By increasing the number of newer mobile homes in rural areas where there are not many housing options, Aman says, policymakers could efficiently address multiple housing issues for rural residents. The Center for Rural Pennsylvania supported this work.